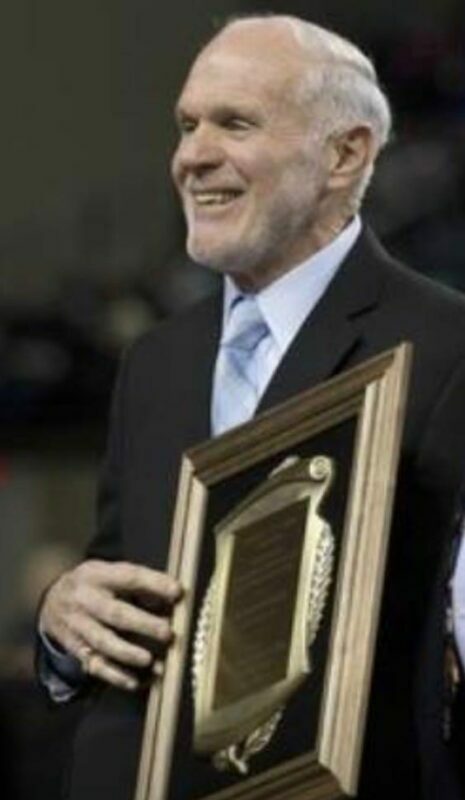 Toms River High School East has known one Wrestling coach since it opened in 1979. February 7, 2018 was a special night for the Raiders as Coach Warren Reid collected win number 400 in front of a home crowd. Reid saw his Raiders win ten out of fourteen bouts (including three pins) en route to a 52-12 victory over visiting Pinelands. 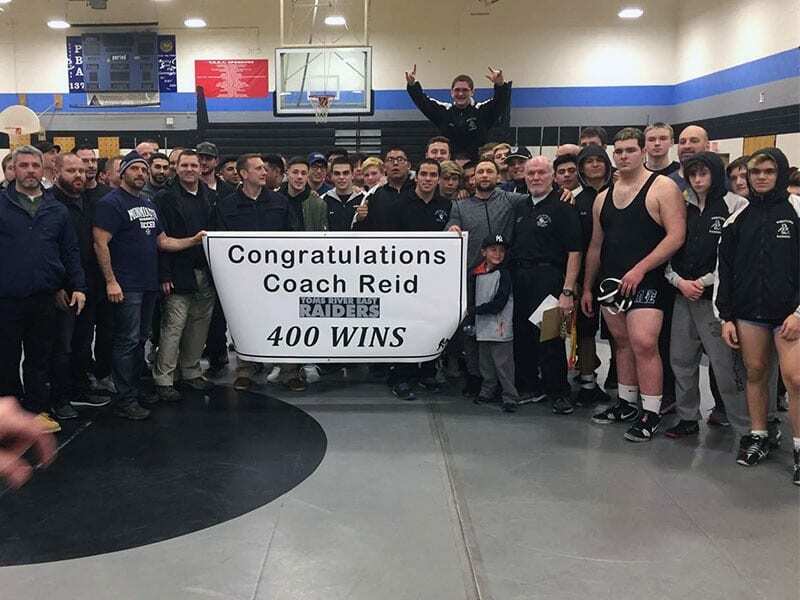 After the match concluded, Coach Reid was presented with a banner as well as the opportunity to celebrate with his family, team, and past wrestlers including current UFC professional Frankie Edgar. Coach Reid and his Raiders now set their sets on the upcoming District tournament.